A Manchester-based lawyer has been appointed to the board of trustees for a Salford charity which provides rehabilitation services for those with brain and spinal injuries. 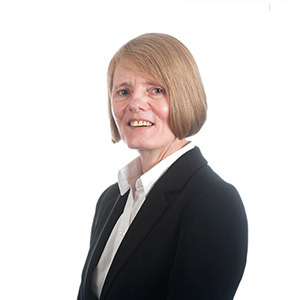 Dianne Yates, Partner and Head of the Serious and Catastrophic Injury Department at Birchall Blackburn Law, said she is ‘honoured’ to join The Brain and Spinal Injury Centre’s (BASIC) board of trustees. BASIC helps to rebuild the lives of people who suffer from life-changing conditions and those who have sustained serious head injuries, operating an array of services to support people in their recovery from conditions such as traumatic head/brain injury, spinal injury, stroke and brain hemorrhage. Affiliated to the Greater Manchester Clinical Neuroscience Centre at Salford Royal Hospitals, BASIC relies on funding and support from local partners to deliver specially tailored programmes of therapy to help people secure their position back in the workplace. Dianne is the board’s eighth member and will be involved in giving the charity direction and support in its strategic decisions. Dianne said: “I am very honoured to be able to play a part in the decision making at this very important charity and I look forward to working with the rest of the board to help it move forward. In 2013, the charity was unable to fund its vocational rehabilitation service so Birchall Blackburn Law, which has offices across the North West, pledged £90,000 to support the charity.